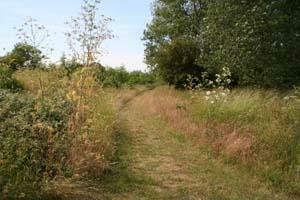 Marston Vale Pedestrian (& Cycle) Trail at Forest Centre & Millennium Country Park Walking RouteYou can explore the 250 hectares of woodland, wetland and grassland on foot or by bike. We have created a network of trails for walkers and cyclists which winds its way around the Country Park. Start/Finish Point: The complete route is a circular walk starting at The Forest Centre at The Forest of Marston Vale - TL005416. You can explore the 250 hectares of woodland, wetland and grassland on foot or by bike. We have created a network of trails for walkers and cyclists which winds its way around the Country Park.